A generously sized oval bowl evokes purity and naturally balanced form. 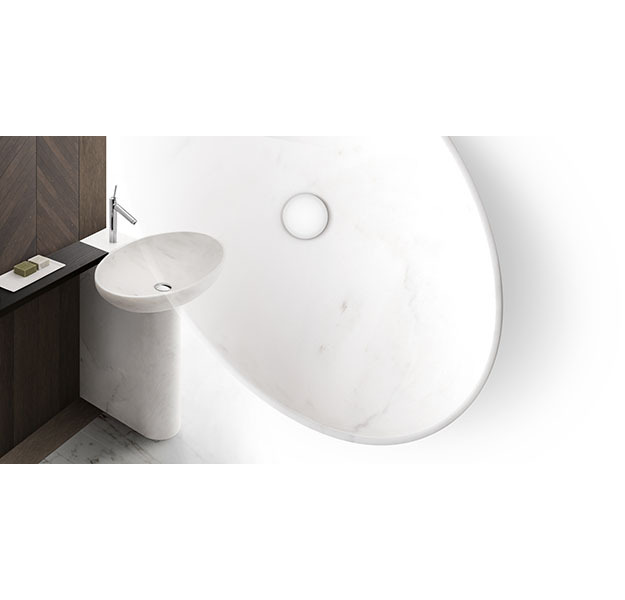 The Nabhi collection of vessel sinks was designed by Enzo Berti. 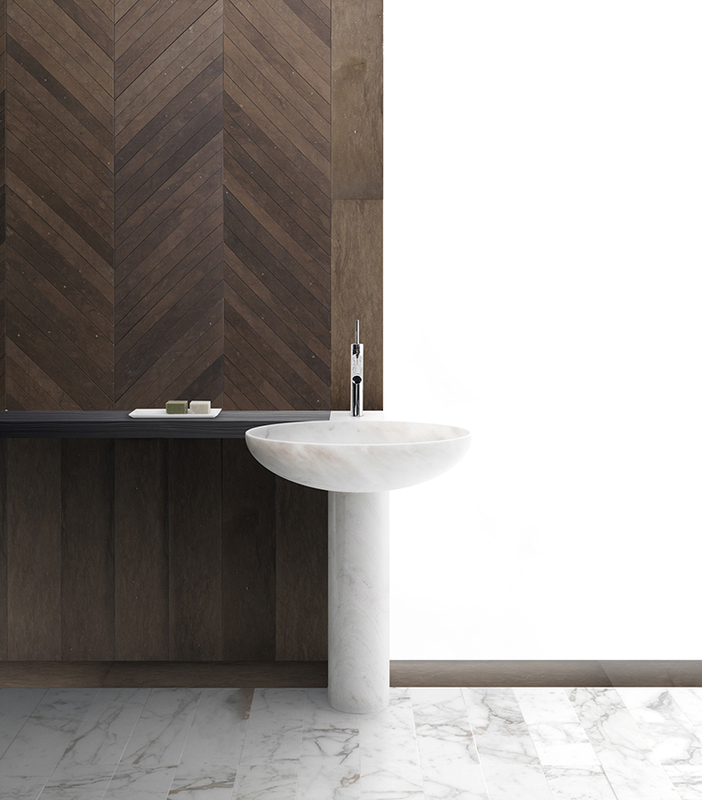 Known for bringing out the particular expressive abilities of materials and imparting not just form and function but also soul to his designs for the home, Mr. Berti has created this series of sculptural sinks exclusively for Kreoo.